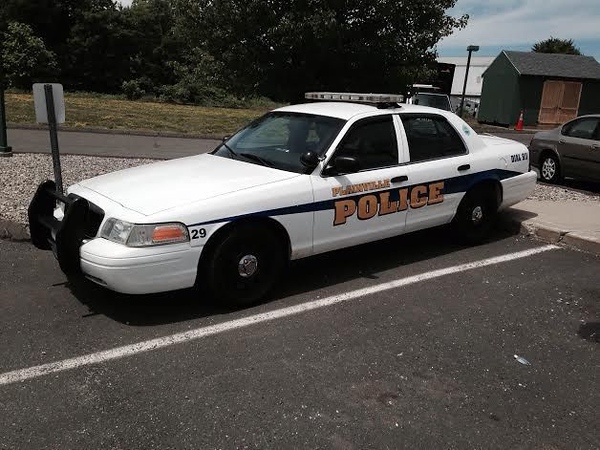 PLAINVILLE - A Plainville man has been charged with beating a man, possibly with brass knuckles, outside a bar last December to the point that the man needed staples in his head to close his wound. Anthony Sidoti, 24, was arrested Feb. 4 and is charged with first-degree assault, second-degree breach of peace and first-degree reckless endangerment, according to court records. Sidoti turned himself in, knowing Plainville police had a warrant out for his arrest, Lt. Nick Mullins said. The victim of the beating called police on Dec. 28 at about 11:45 p.m. saying he had been assaulted outside Zen Bar, 317 Farmington Ave., according to the warrant for Sidoti’s arrest. The victim, who had head trauma on the rear of his head and fresh blood on himself, told police he had been called over to a group of men and punched several times, the warrant said. The victim said he did not strike any of the men, who were wearing Outlaws motorcycle club vests and fled north on Farmington Avenue before police arrived, the warrant said. A confidential informant, who wished to remain anonymous, later told police Sidoti had been the attacker after the victim had instigated Sidoti to fight. The victim was heavily intoxicated and behaving belligerently, the informant told police, according to the warrant. Police reviewed the security footage from Zen Bar and saw the victim surrounded by several men wearing “Outlaws MC” leather vests, the warrant said. One man, later identified as Sidoti, punched the victim in the face several times before other men with Sidoti pushed and struck the victim several times, the warrant said. In the security footage, the victim never strikes the men who attacked him and appeared defense, police said in the warrant. Police recognized Sidoti from a car accident he had been involved in a few years before and knew him to be a patron of the Central Cafe. At about 2 a.m., police went to Central Cafe and found Sidoti with other men wearing similar clothing, though not that of Outlaws MC. A nurse at Hartford Hospital in charge of taking care of the victim said the laceration on the back of his head could not have been caused by a fist and was likely caused by falling or being hit with a weapon, such as brass knuckles. Police said they never saw the victim falling in the video footage, the warrant stated. The victim returned to Plainville police on Jan. 2 and gave a sworn written statement detailing the night again, according to the warrant. He said the laceration required 7 or 8 staples and that he also suffered a broken nose, fractured rib and bruised eye and had two teeth knocked out. He described the alleged attacker as a white man with a beard. Sidoti is scheduled to enter a plea in Bristol Superior Court on March 1. He was released from custody on a $15,000 surety bond. Posted in New Britain Herald, Plainville on Wednesday, 6 February 2019 19:15. Updated: Wednesday, 6 February 2019 19:18.